Unlimited Diving Freedom." That's much more than a slogan; that's the policy at Habitat Curaçao Resort. Here, Easy Divers' boat departs daily, and shore diving is an unlimited experience — 24 hours a day, 7 days a week, 365 days a year. Ideally located on the southwest coast of the Dutch Antillean island of Curaçao, Habitat Curaçao Resort is just minutes away from some of the healthiest and most marine-life-rich reefs in the Caribbean. And that begins with Nos Cas ("our house" in Papiamentu), Habitat Curaçao's house reef, which starts in 20 feet of water right off the resort's dive dock. TV, kitchenette and a private patio or balcony. And to celebrate its 10th anniversary, Habitat Curaçao Resort is offering specials throughout the entire year. At Oceans Restaurant, where every table has a view to write home about, days begin with a full breakfast buffet, lunches range from fresh tropical salads to the catch of the day, and evenings begin with a full steak, pasta and seafood menu. And after meals, Oceans Bar is the perfect place to enjoy live music and swap dive stories. When not diving, Habitat Curaçao has an oceanfront infinity pool, hiking trails starting in and around the resort, mountain bikes for rent and regular daytime shuttles to international shopping among the famous Dutch-Caribbean architecture of Willemstad. The resort's 70 percent return rate is easy to understand; divers know Habitat Curaçao as an honest-to-goodness Dutch treat. Easy Divers at Habitat Curaçao, the on-site dive operation, is a PADI Gold Palm, National Geographic Facility and IDC. 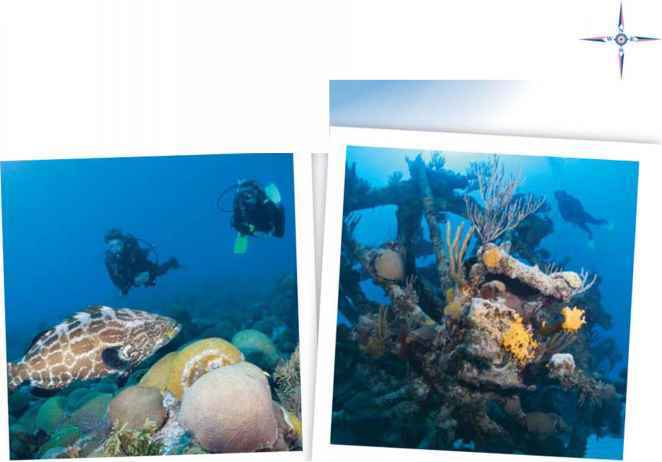 They can easily take you to world-class dives with pristine reefs. After your boat dive, grab a tank from the 24-hour filling station, pop it into your rental car and drive to any of 35 different shore dives around the island, all marked with large rocks painted to resemble dive flags. And if you and your buddy are up for a night shore dive, Nos Cas is known around Curaçao as the very best night dive on the island.